Independent Developer QC Games today released Patch 0.2: Shadow Master which includes the new Shadow Master Veil Demon Class for the Steam Early Access title Breach. With the Shadow Master, players can clone their enemy and utilize deployable buff stations to enhance their possessed minions. Players can also choose how they want to utilize the clones they create, either offensively or defensively, creating a whole new world of chaos for the Heroes trying to complete their mission. Also introduced in this update is the “Challenge System” which allows players to unlock in-game rewards for each class as they level that class up to 30. Each class will have ability unlocks, gems, and talents specific to that class. These are a few of the newest updates to this latest gameplay patch for Breach. 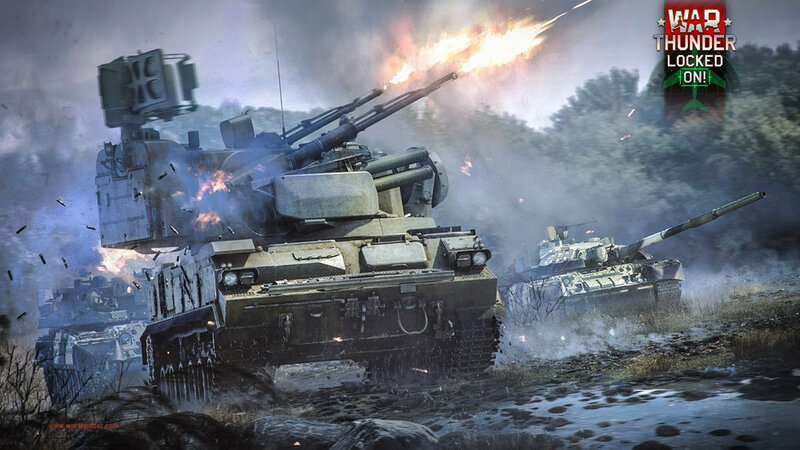 March 13, 2019 — Gaijin Entertainment announces the release of Content Update 1.87 ‘Locked on!’ for the military vehicle online game War Thunder. It adds radar systems as a new game mechanic for aircraft, helicopters and tanks as well as more than 30 new vehicles to the game. The extensive list of new machines includes the first French helicopters, new cruisers and destroyers, the first ground vehicles of the new Rank VII as well as the first surface-to-air missile (SAM) system, the Soviet 2S6 ‘Tunguska’. Tunbridge Wells, England – 27th February, 2019 – Marvelous Europe are excited to announce that the definitive version of the Nihon Falcom-developed RPG, The Legend of Heroes: Trails of Cold Steel, will be released for the PlayStation 4 on the 29th March, 2019 both digitally, and physically in selected retailers, within Europe and Australia. A physical Limited Edition, known as the Decisive Edition, will also be exclusive to the Marvelous Games Store. AALBORG, Denmark – March 7, 2019 – 3D Realms and 1C Entertainment in collaboration with developer KillPixel will pay homage to the classic era of gaming with WRATH: Aeon of Ruin, a dark fantasy horror FPS powered by the original Quake engine. Get your first taste of WRATH in Summer 2019, for Windows, Mac, and Linux, with Nintendo Switch™, PlayStation®4, and Xbox One following in early 2020. March 6th, 2019 -- House Pixel Games announces its award-winning party game Mowin' & Throwin' will launch on consoles and fully release on PC this Spring. Use lawn gnomes racing around in nitro-boosted mowers to wreck your neighbor's yard by blasting rocks, fertilizer bags, and more at your unsuspecting opponents! Mowin’ & Throwin’ is a competitive lawn mowing experience where the objective of the game is the have the least amount of grass on your lawn before time runs out. Choose your zany gnome avatar and mow down the competition in 2v2 or 1v1 modes. Mowin' & Throwin' is great to play with friends, family, or people you only sort of like! Dodge starving fish, pointy volcanic rocks and meteor showers out to burst balloons’ bubbles. Navigate treacherous terrain and inflate to bump out the competition. Sheffield, UK - 25th February 2019 - Charlotte Sutherland, solo Developer at Cave Monsters, has today announced that her first release, Lord Winklebottom Investigates, is coming to PC, Mac, Linux and Nintendo Switch. 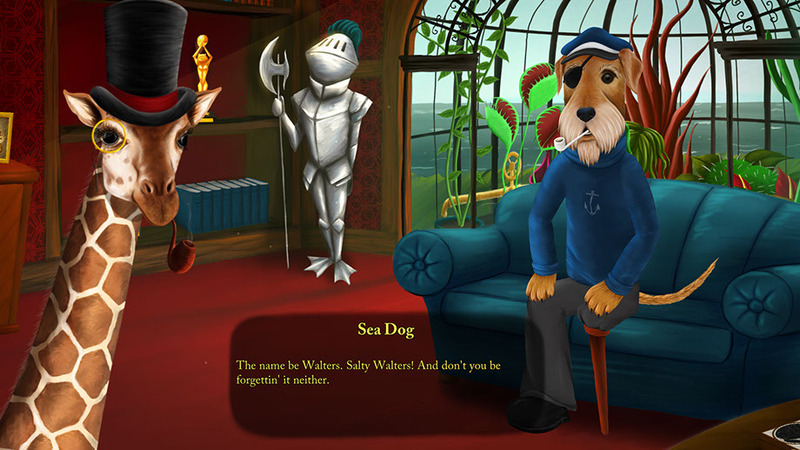 Lord Winklebottom is a classic point and click adventure with a fetching hand drawn art style and a jolly good sense of humour! Cave Monsters is looking for £25,000 to help with a Kickstarter campaign that will last 30 days - February 25th – March 26th. The fund will be used to get the game fully voice acted to a high standard, collaborate with a composer to create a unique, 1920’s inspired soundtrack, programming assistance and additional localisation. February 19th, 2019 Independent publisher Nnooo announces the release date on the Nintendo Switch eShop for the critically acclaimed game Anodyne. Developed by Analgesic Productions, the game is scheduled to launch on February 28th in The Americas, Europe, UK, Australia and New Zealand. Anodyne will also be available for pre-purchase on the eShop starting February 21st. Play as two lovers who escaped to a lost planet. The only thing that matters is to stay together. A RPG to play solo or with a special someone. Throwback to the heydays of popular classics like Bomberman and go head-to-head against other bombers in one of 283 multiplayer maps in Blast Zone! Tournament, which exits Steam Early Access and launches on PC and PS4 on 28 Feb.
February 15th, 2019: The Fortnite Battle Royale Collection, a new line of collectible mini action figures from the gaming and pop culture phenomenon, is now available at Amazon, Argos and in Tesco stores. Following an initial, sell-out run at Smyths Toys, the first supply drop of the pocket money collectibles is now widely available right in time for February half term! The collectibles are available in Solo (one figure, £4.99) Duo (two figures, £9.99) and Squad (four figures, £19.99) packs. This initial release features 16 fan favourite outfits from the game, including Omega, Cuddle Team Leader, Raptor, Skull Trooper and the Limited Edition figure, Die Cast. From Worlds Apart and Moose Toys, the detailed, poseable figures stand at 5cm tall with three points of articulation, accessories and a display stand - making them ideal collector’s items for Fortnite fans of all ages. With the Battle Royale Collection growing to 100 figures in 2019, new figures will be released on a regular basis. You Never Know Who’s Dropping Next! February 16, 2019: Daybreak Games has announced that PlanetSide Arena, the massive-scale multiplayer sci-fi arena shooter, has a new PC release window and will simultaneously launch alongside PlayStation 4 later this Summer. Enrol and join the Steel Circus! The curtains are open but only for a short time - 15 February (6:00 AM PT, 3:00 PM CET, 5:00 PM MSK) to 16 February (3:00 PM CET, 5:00 PM MSK, 6:00 AM PT). Follow the link here as there’s still time to join the Closed Alpha Test! Vertigo Gaming Inc. announces its restaurant management sim Cook, Serve, Delicious! 2!! is now available in PlayStation 4 SIEE territories! Nintendo Switch and Xbox One editions are also in development for launch in 2019 -- with other PS4 regional releases in the works for later this year as well. Follow this Delicious link for even more information! Love Loot boxes? Hyped for Marvel Avengers: Infinity War? Well, we've got some great news from LOOTCRATE for you, and remember these apparel are only available in this month's 'Core' and Loot 'Wear' Crates! First up is the Thanos Shirt (from April’s Core Crate). This shirt (designed by JO3BOT who designed Marvel’s NYCC 2012 shirt), shows The Mad Titan, Thanos reclining in his terrifying throne having completed his latest DIY project (collecting the fabled Infinity Stones and conquering the Marvel Universe!). Licensed from Marvel by Loot Crate, this shirt is exclusive to April’s Loot ‘Core’ crate. Secondly we have The Infinity Gauntlet Shirt (from April’s Loot Wear Crate). This one is a Thanos Infinity Gauntlet Long Sleeve Tee. Rule the Galaxy in style in this Thanos shirt featuring the coveted Infinity Gauntlet and the six Infinity Stones lined up the sleeve! With these two exclusive shirts and more TBC content, Loot Crate are positioning themselves as the one stop shop for all Marvel goods leading into the Avengers: Infinity War theatrical release. For more information or to sign up for Loot Crate, please visit www.lootcrate.com, and check them out on social: Facebook, and @lootcrate on Twitter and Instagram. London, Tuesday 10th April 2018 - Multi-award winning publisher Curve Digital, is pleased to announce that IronOak Games’ For the King will leave Steam Early Access on 19th April 2018. 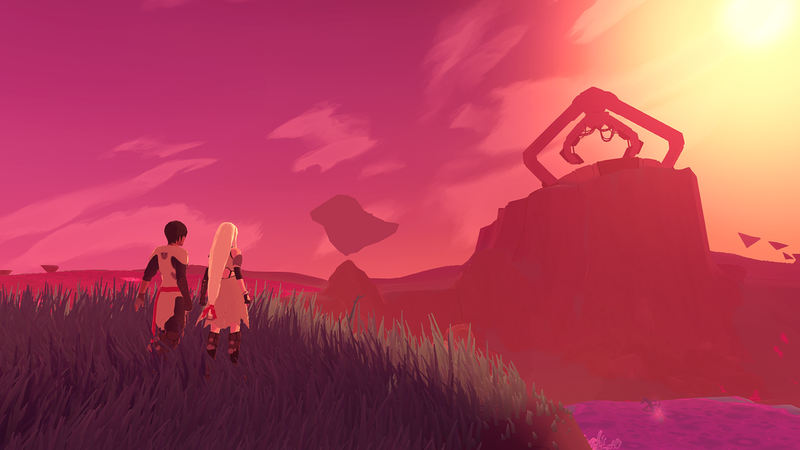 For the King is a rogue-like RPG adventure for which sees players journey into procedurally generated levels to avenge their recently murdered King. Mixing up a challenging blend of strategy, tabletop RPG, and rogue-like elements, For The King features both a single player experience as well as the ability for three heroes to play cooperatively both online and locally. Taking place in the gorgeous, hexagonal kingdom of Fahrul, players must strategically explore and battle their way through the fairytale, stylized landscape in a bid to discover and survive, lest they succumb to death. 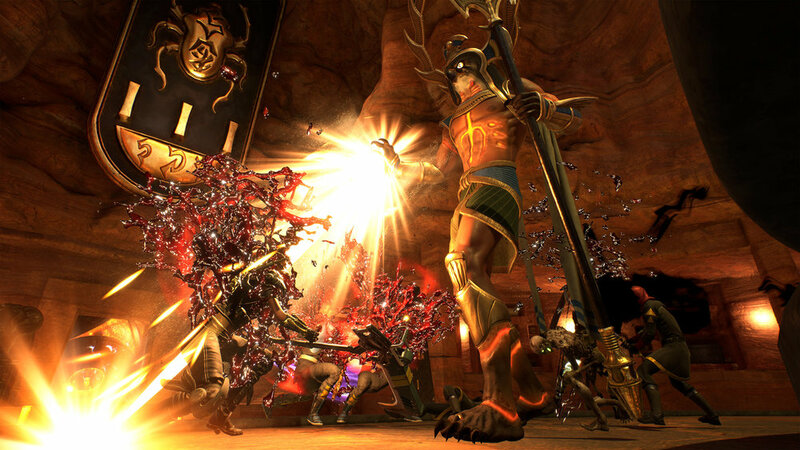 The game’s short run in Early Access allowed for new features to be tested, balanced and tweaked following suggestions from the community. As a result, IronOak Games have added a horde of new features including a Dungeon Crawl Mode, Discord integration, a whole host of multiplayer functionality and, of course, vital enemy and economy balancing. The full list of updates can be found via the game's Steam page. The exit from Early Access will be accompanied by an extensive free update which adds an all new adventure into the daunting Frozen Expanse. This includes three entirely new realms: The Shivering Woods, Frozen Expanse and the Frigid Sea. Along with these new realms comes two vast new dungeons, a brand-new playable character to unlock and plenty of fiendish traps. Plus over 20 new enemies and encounters, two new Scourges and a wealth of new weapons, armour and loot. For completionists, 10 new steam achievements are up for grabs. For the King will be priced at $19.99 / £15.49 / 19,99€ with a 20% launch week discount, when it leaves Steam Early Access on April 19th. PlayStation 4, Xbox One and Nintendo Switch versions of the game are slated for release in early 2019.